Factor 4 is an advanced, targeted anti-ageing treatment derived from your body’s own proteins. This natural formulation works to reduce lines and rejuvenate your skin, giving you a more youthful complexion. 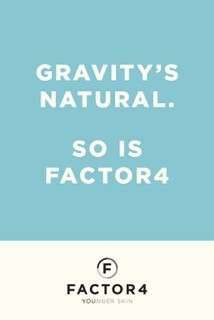 To create your very own Factor 4 formulation, we take a sample of your blood and incubate it using a patented scientific technique. After 6–9 hours of incubation, we remove the red blood cells from the plasma. The end-product is your own personalised Factor 4 treatment serum, a highly-concentrated formulation of your own growth factor and cytokines. It may be used immediately or stored for future sessions. Each clinician has their own methods for administering Factor 4. These include micro-needling, drizzling, direct injections, threads, blebs and cannulas. After administering Factor 4 using one of these methods, the clinician will drizzle on any remaining serum and massage the skin. Your body will naturally accept Factor 4 because it contains a super-concentration of your own growth factor and cytokines. 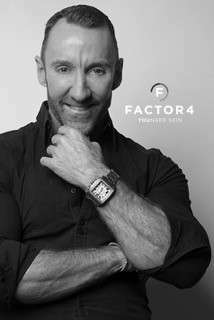 Factor 4 is available for all skin types. Your practitioner will advise a suitable treatment for you at your consultation. 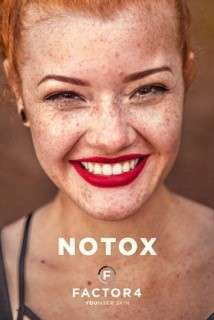 Factor 4 naturally stimulates your body’s own collagen, which in turn improves skin elasticity, slows ageing and reduces fine lines and wrinkles. It also treats scarring and helps to minimise pores. Factor 4 will help you to achieve a younger, brighter, healthier complexion while improving the tone and texture of your skin. You can expect to see improvements after a couple of weeks from your first Factor 4 treatment. Once you have had 3–4 treatments, you will experience the most beautiful results. Results may vary between individuals. I have been receiving treatment for tattoo removal by Richmond skin and laser for the past few months on a... I have been receiving treatment for tattoo removal by Richmond skin and laser for the past few months on a very stubborn and unsightly tattoo, my tattoo was a thick band around my wrist and very dense so I've been extremely impressed with the way that the ink has lifted so fast, the service has been amazing and the results have been even better. Karen and her team always go above and beyond with making me feel comfortable while being treated. 13/10 would recommend!! I love everything about Richmond Skin and Laser! I go for the DMK enzyme facials and laser hair removal. 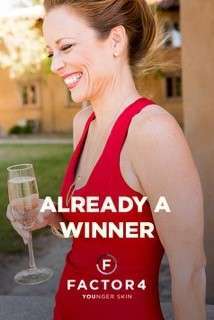 Every... I love everything about Richmond Skin and Laser! I go for the DMK enzyme facials and laser hair removal. Every DMK facial is tailored to the individual. Corinne is amazing at what she does and is very knowledgeable on skin health. Would highly recommend this clinic.